I truly love these films, although this year my recap is going to be imperfect. I saw less films than I have in previous years. But it never stopped me looking around and probing for that jewel in the rough. I think I can boast however that I still see more movies in a monthly period than most people see in a year. But even once I catch up with everything, it still means that I highly tout these following titles. 1. 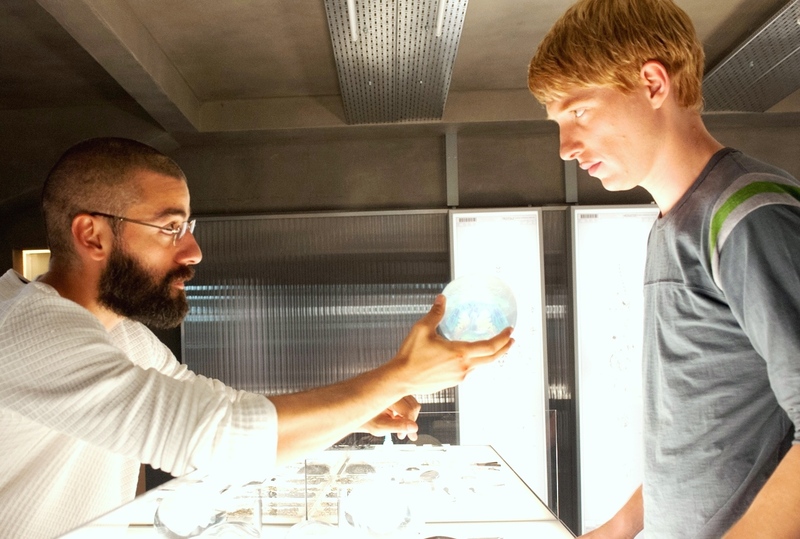 Ex Machina – It’s rare to find dialogue more intelligent than the everyday conversations we have in real life. It’s something of a miracle that it’s contained within a science fiction film. I also in constant wonder and awe of this uncommonly brainy film. Most of the times at bad movies, most shots are inexplicable, or hectic, or don’t matter. The first twenty shots that open this film are mesmerizing, up through the point where apprentice computer programmer Caleb (Domhnall Gleeson) meets reclusive inventor Nathan (Oscar Isaac), whose A.I. will be the first creation that’s progressively lifelike to blend in with human beings. 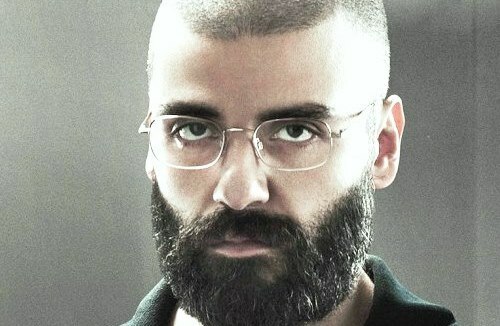 Isaac, probably my favorite character actor since the passing of Philip Seymour Hoffman, demonstrates his most electrifying prowess yet. 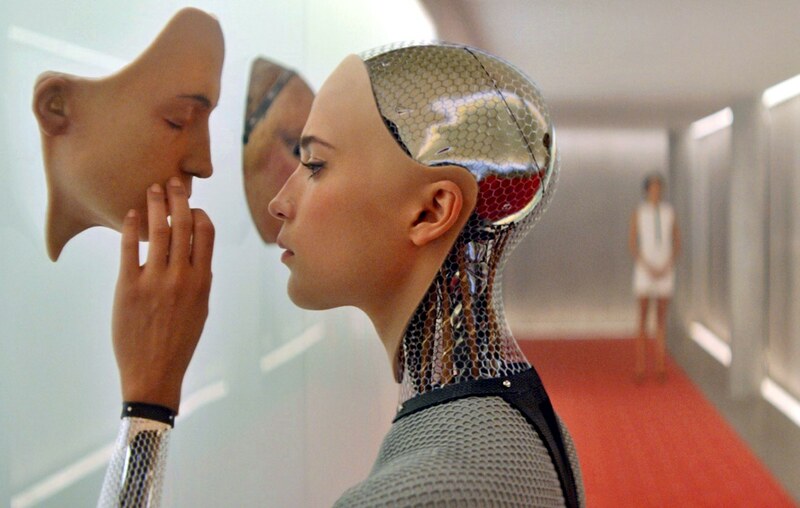 Debut director Alex Garland has written some great scripts (“Sunshine,” “28 Days Later”), but his work here has cascading flow, indelible images and dialogue that is always alive, and that to me makes him a disciplined master. 2. 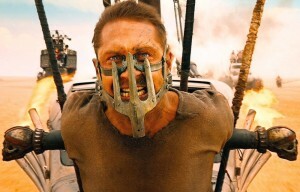 Mad Max: Fury Road – George Miller, the 70-year old filmmaker, has put up his latest vision of the world’s worst possible future with renegade heroes who attempt to salvage a sanctuary removed from violence, and to save the last thoroughbred female beauties from exploitation. 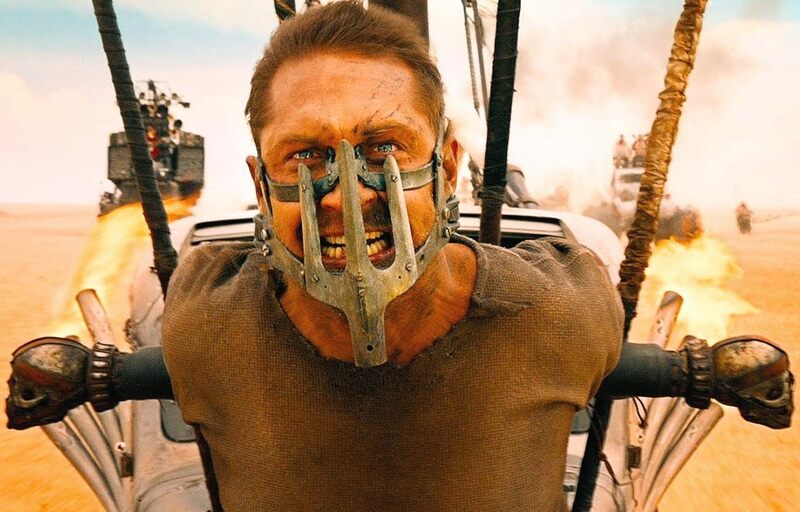 Charlize Theron as Furiosa is a fierce match to Tom Hardy’s Max, and there are hidden complexities to her that are unsaid but you can theorize. The term “adrenaline rush” is tossed around too often in movie ads. Not only was it that, it was heart-pounding. I’m speaking of course of the chase scenes, but maybe also that’s true of something scary: the potential mass psychology mutations of the future that favor the barbaric. 3. 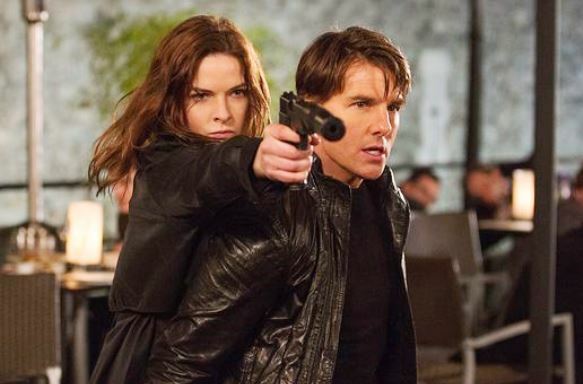 Mission: Impossible – Rogue Nation – Yes, I’m serious about this being the #3 film of the year, we’ll be watching this as great genre pleasure fifty years from now. This franchise has been known for its outlandish stunts, but what Tom Cruise as star and producer along with director Christopher McQuarrie have done this time is package visually mesmerizing sequences that have outdone the rest of tired action formulas of Hollywood. There is the Vienna opera house fight between Cruise’s Ethan Hunt and an assassin on a catwalk where the lighting, camerawork and timing is not just exciting, but fluid and elegant. Nitpickers will say this is a standard-issue plot that consists of agent turncoats and assassination targets, but the way it’s done is uncommonly nifty, with suave timing. Rebecca Ferguson, exquisite but lethal, is Ethan Hunt’s finest female counterpart to date. 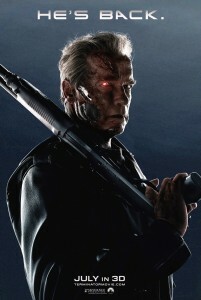 This most dependable of franchises of late is easily outclassing the James Bond series. 4. Bridge of Spies – An underestimated achievement is how Steven Spielberg has taken a complicated story and told it with an abundance of clarity. For decades, we’ve gotten a lot of hifalutin Cold War stories that are either too sensationalistic or pretentious hush-hush bores (“Tinker Tailor Soldier Spy” for one). Finally here’s a story that has really given me an impression on what the Cold War era was about. For all the xenophobia that was happening in American during the 1950’s, it’s amazing that our American spies abroad were far more invasive than the Russian espionage were to our country. Tom Hanks is splendid as the lawyer, the ordinary man, whose professional integrity leads to him summoned for our government during a tense international prisoner exchange. 5. Inside Out – Easily one of Pixar’s best. It’s great to be halfway into it, and muse, “This is a definite classic that will be watched by generations from now.” It would seem deceptively simple: An 11-year old girl (voiced by Kaitlin Dias) goes into a tizzy after her parents move her from Minnesota to San Francisco, and inside her core, various emotive characters clash to stimulate her emotional responses. 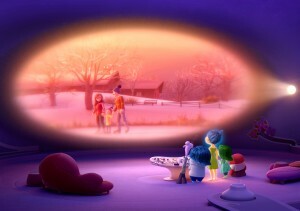 What makes it wise is the imparted life lesson that sometimes you need a little rub of sadness to emotionally grow. Amy Poehler is a hoot as the voice of Joy, but Phyllis Smith is ultimately endearing as the Debbie Downer-type Sadness. 6. 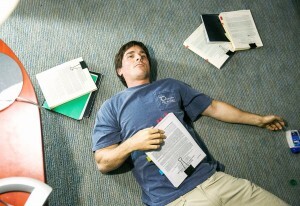 The Big Short – Here’s a film where you want to listen-in on everything. When you heard, “Hollywood Movie on the 2008 Housing Crisis,” you think you want to pop some headache Tylenol before you walk in. What’s amazing is that it uses a lot of smart terms, then explains them to you in ways you can understand. Then it discloses that banking has for three decades come up with convoluted language so it would alienate the low income amateurs of this world. So the rich get richer, and the lower middle-class, well, we’re set-up. Steve Carell, Ryan Gosling and Christian Bale are the standouts of this impeccable cast as egotistical bankers and hedge fund managers who predicted the economic crash. Crass-meister Adam McKay directed (“Anchorman,” “Step Brothers”), but wow, has he matured. 7. 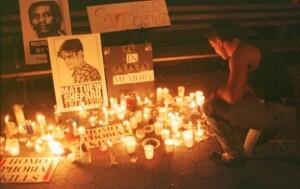 Matt Shepard is a Friend of Mine – Powerful documentary. I bet a lot of people though don’t remember who Matt Shepard was. He was the young man of Wyoming who in 1998 was brutally murdered in a hate crime for being gay. I think it’s accurate to expect it will have a lot of people sit in front of the camera to tell you who Matt was. If that was simply the case it would maybe touching, but mostly sorrowful and dreary. The amazing thing is how unbelievably well-shot and constructed it is by unknown Michele Jouse, and I can’t help but say how what a mystery it is that she seems to possess the editing layered talent of an early Oliver Stone. Even with this said, you probably think you can’t bear to see this film. 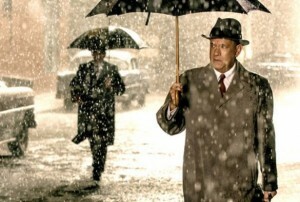 But it is not boring, it is hard-hitting, heartrending, probing – and yes, filmmaking skill aside – affectingly humanitarian. 8. 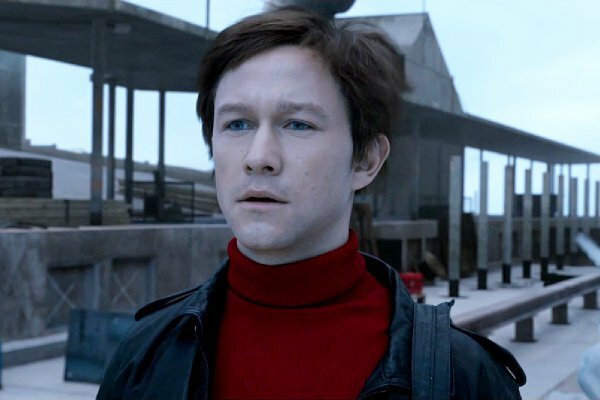 The Walk – I don’t think there is another Robert Zemeckis directed movie since his post “Back to the Future” record that’s tanked at the box office. All I can come up with is, I really don’t think people at large could tell what this movie was about from the ads. I usually say, it’s worth making a movie on any person that’s one a million. Frenchman Phillippe Petit (Joseph Gordon-Levitt), part hotshot and part madman, is one in a billion. He’s the tightrope walker who in 1974 broke into the World Trade Center to perform a tightrope walk between the two buildings for the hell of it (virtually all humans on Earth would die in two seconds). It’s not just the breathtaking walk finale, but also the whimsy of the Paris scenes – this is marvelously beautiful and imaginative cinema. 9. Going Clear: Scientology and the Prison of Belief – It’s a coup for documentarian Alex Gibney to have extracted as much interview, origin information and rare cloistered footage as he has in order to unveil the scams of the cult of Scientology. He’s also not shy about asking questions as to why they make so much ballyhoo about Tom Cruise and John Travolta’s membership. 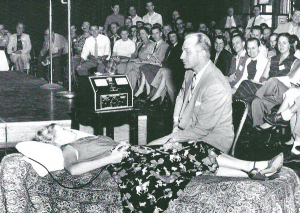 What is Scientology doing to new members, how are they hijacking their lives, and how are they getting them to stay? Those mysteries come to light in what really has been one of the most bizarre mysteries of modern times. And to be honest, I had no idea who L. Ron Hubbard’s successor was, but now see how David Miscavige has shrewdly turned the religion into a form of extortion. 10. Spotlight — The seminal newspaper film for our modern internet times, the Boston Globe circa 2001-2002 carrying themselves with such integrity that I wished more money had been put up by the studio to produce a more hard-nosed ending. I didn’t think though that a fictional dramatization of the Catholic Church’s crimes could be more potent than the 2006 documentary “Deliver Us From Evil” which candidly put us up in the face of a true hypocritical priest, but Tom McCarthy’s film delivers the intelligence, the scrutiny, the empathy. 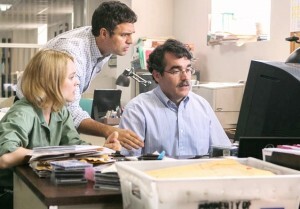 All the actors pull off an indescribable strength to the film, famously including Michael Keaton as the editor who undergoes a mental shift in his vocational duty, Mark Ruffalo and Rachel McAdams as diligent reporters who reveal subtle shades of compassion, John Slattery as the chief editor who furiously wants to push everybody harder, and then Liev Schrieber as the editor with the initial idea who remains an enigma in an austere business suit but an intriguing one. Tangerine – Sure, I give it a special reward mention, and it’s really my number eleven pick of the year. Most will find it appalling, I found it fascinating. This low-low budget film shot on iPhones (you can’t tell) spends a day in the life of two transgender prostitutes who work the squalid East Hollywood area. I don’t need this crap, I surely said to myself. Then after awhile, I was like, “OMG, this is as real as it gets with their daily problems.” The human behavior at the donut shop, where the two get into a jealous spat with their pimp, is for the crazies highlight reel. For me, it was more heart-racing and uproarious than watching the blow-up of the Death Star. In all seriousness, Kitana Kiki Rodriguez’s performance as a pro who wants retribution against her cheating boyfriend-pimp, is jaw-dropping in its greatness. Honorable Mentions (Another five, alphabetically listed): The End of the Tour; The Trial of Viviane Amsalem (Israel); Love & Mercy; Mississippi Grind; Room. Best Anthology Movie: “Wild Tales” (Argentina). Best Dance Sequence: “Magic Mike XXL” the convenience store scene. Most Overrated: “White God” (Hungary) and “Clouds of Sils Maria (France). 1. 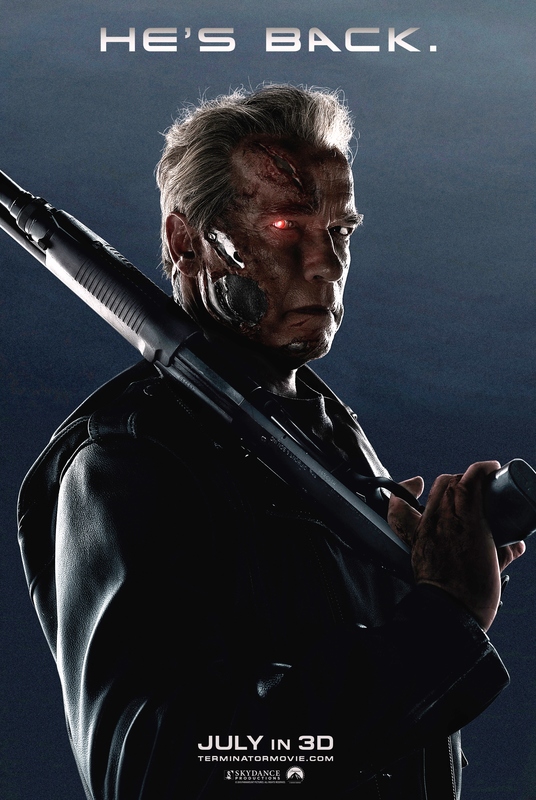 Terminator: Genysis – In this humongous groaner, you’re now supposed to discount everything that happened in James Cameron’s “The Terminator” and “Terminator 2: Judgment Day.” Those were sci-fi classics. But this time we have to put up with inadequate acting along with the insulting script. And it has a bogus action scene where a helicopter is shot down in the air twice. I swear I saw that happen, as if I wasn’t pissed off majorly already. 3. Avengers: Age of Ultron – I gave it two-stars in my original review, only because you can’t slash away at a tentpole movie without putting fanboys in a hissyfit in this day and age. The time has passed, and this movie stinks. I just can’t believe the loss of chemistry and humor of this cast in the second go-around, with an unremarkable story, and muddy look for a superhero movie. 4. Chappie – Futuristic action taken right out of the cliché scrapyard. I can’t believe that a major studio funded director Neill Blomkamp’s total lackluster vision. Hugh Jackman and Sigourney Weaver give career worst and dumbest performances, and the robot is charmless, too. 5. Aloha – Another movie I gave two stars and I don’t know why. This soppy crisis of conscience comedy by Cameron Crowe puts all its’ wit into the first three minutes. When a weapons satellite is shot into outer space, the scene at the mission command has to be the most unconvincing and awful movie set in goddamn ages. Here’s another hole: Bradley Cooper is supposed to be this expensive-for-hire military defense contractor, but his intelligence is obviously average. So is his taste for women, i.e., Emma Stone. Note: I got to it late, but the remake of “Vacation” with Ed Helms picking up where Chevy Chase left off deserves to be on this list, but I’m too disgusted even to work up a proper public smearing of it.